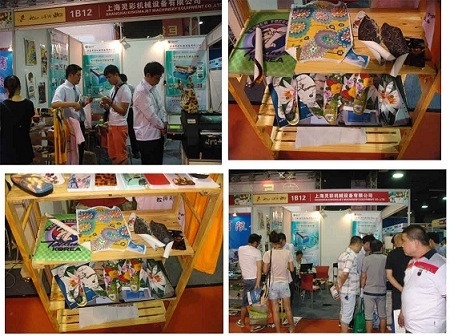 The All China Leather Exhibition (ACLE) is well established as the premier event for the leather sector in China. It is targeted at companies seeking opportunities in China or who already operate there and looking to meet new suppliers and, of course, whatever their individual needs the exhibition offers countless opportunities for networking, meeting potential suppliers and customers, and studying all that is new. ACLE, in conjunction with the China International Footwear Fair (CIFF) and Moda Shanghai covers the entire supply-chain requirements: from raw materials (wet blues), a huge array of chemical and dye suppliers, semi-finished and finished leathers, machinery for the tanneries, CAD/CAM cutting machinery, tools, technology, accessories and business services - right through to finished products (CIFF and Moda Shanghai). The global leather industry is holding up remarkably well despite uncertain economic conditions in major overseas markets. Chinese leather makers have managed to improve sales to domestic consumers, a field still far short of its potential given the total population (1.3 billion and rising). Imports of leather and leather related products into China in 2011 were USD7.3bn and this is where the opportunity lies for international exhibitors at ACLE, CIFF and Moda Shanghai. Producers of leather, chemical and machinery understand this and join ACLE in greater number every year. This is the case for example of Turkish companies: the pavilion from Turkey will increase its size again by 20% in 2012. ACLE is important to exhibitors because the majority of buyers come from the region in and around Shanghai, the location of many of China’s biggest, most modern and best equipped operations. They have to be: not least because environmental regulations in that area are not only rigorous, but enforced rigorously as well. Many China offices of large foreign corporations use Shanghai as their base and make ACLE, CIFF and Moda Shanghai as their annual meeting place in China. In 2011 there were just under 1,100 exhibitors. They came from 37 countries and regions. With 80% of the 7 Halls at the Shanghai New International Expo Centre already confirmed, it is highly probable that last years’ numbers will be substantially higher. All China Leather Exhibition, China International Footwear Fair and Moda Shanghai truly is the definitive leather event in China. ACLE is organised jointly by the China Leather Industry Association (CLIA) and APLF Ltd.
CLIA is the only officially recognised representative body for China’s vast and successful leather industry. CLIA has at its disposal the largest and most comprehensive databases of leather makers and manufacturers of finished products, suppliers and buyers. APLF Ltd is a joint venture between SIC Group and UBM Asia. For over two decades, Hong Kong-based APLF Ltd has been providing the global leather and fashion industries with its most important meeting and trading place.